Construction is in the works for Dillingham's wastewater treatment facility. This summer, the city is aiming to install a new aeration system, new baffles that slow the movement of sewage through the lagoon and a new pond for waste from Dillingham and Aleknagik septic tanks. The City of Dillingham is planning updates to its wastewater treatment system. 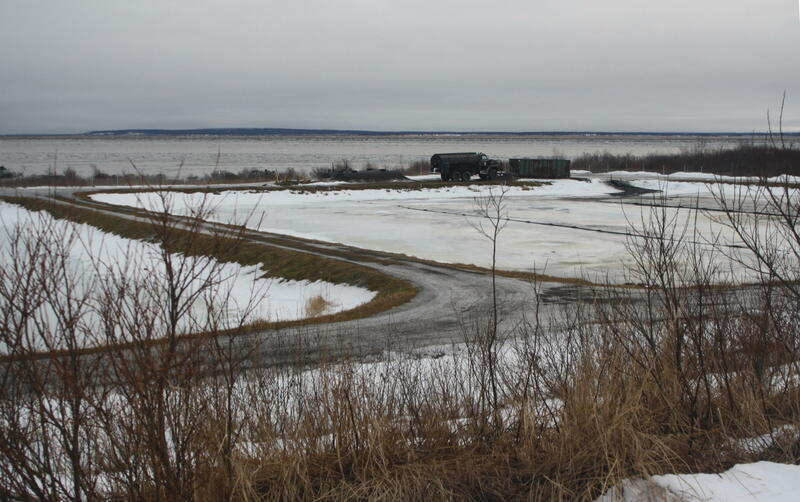 All of them are aimed to make the system more effective at breaking down potentially harmful bacteria in sewage before the water flows back into the Nushagak River. Dillingham city manager Tod Larson and KDLG's Avery Lill discuss the future of the city's sewage lagoon. This conversation is a part of Manager's Corner, a new KDLG segment. Dillingham’s sewage lagoon treats wastewater from the city center, fish processing holding tanks, and home septic tanks. Sewage is held in two “cells,” 1.5 acre ponds, while microorganisms stabilize the wastewater. City manager Tod Larson explained that the city and Alaska Department of Environmental Conservation monitor the sewage lagoon closely. The system meets standards the vast majority of the time. However, Larson said that there are enough “spiked readings,” results do not meet state standards for water treatment, to cause concern. In particular, he is said that the aeration system is not efficiently circulating oxygen throughout the lagoon, especially during the winter, and the wastewater may be moving through the lagoon too quickly. Oxygen and time are critical for microorganisms to adequately treat raw sewage. A new aeration system will help keep ice from forming on top of the sewage lagoon during the winter, which will aid in the treatment of Dillingham's wastewater. These updates to the lagoon will cost an estimated $660,000. The city has applied for a low-interest loan from ADEC to cover the expense. If the loan is approved, construction will begin this summer with the goal of completing the updates by November. While these fixes could ensure compliance with state standards in the short-term, the city is also exploring the option of relocating the sewage lagoon. It is situated near the edge of the Nushagak River, and since 1942, the sewage lagoon bluff has eroded up to 12 feet per year. Just this fall a storm chipped away about 20 feet of embankment, exposing part of the pipe that drains treated water from the lagoon into the river. In the meantime, organizations like Alaska Sea Grant and the Bristol Bay Native Association have assisted with monitoring erosion at near the lagoon. This segment is a part of Manager's Corner.If you have a question you would like answered on the next Manager’s Corner, email avery@kdlg.org or call 907-842-2200.